Firstly, I was the Vogue Knitting Live Designer of the Day on KnitCulture's blog yesterday. 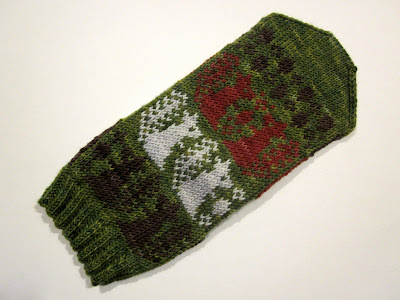 They'll be debuting my latest mitten pattern - Benediction - at Vogue Knitting Live in LA later this month. They'll also be selling kits to make the mittens, so if you are going, please drop by and say hello! I wouldn't want my mitts to get lonely so far away from home. 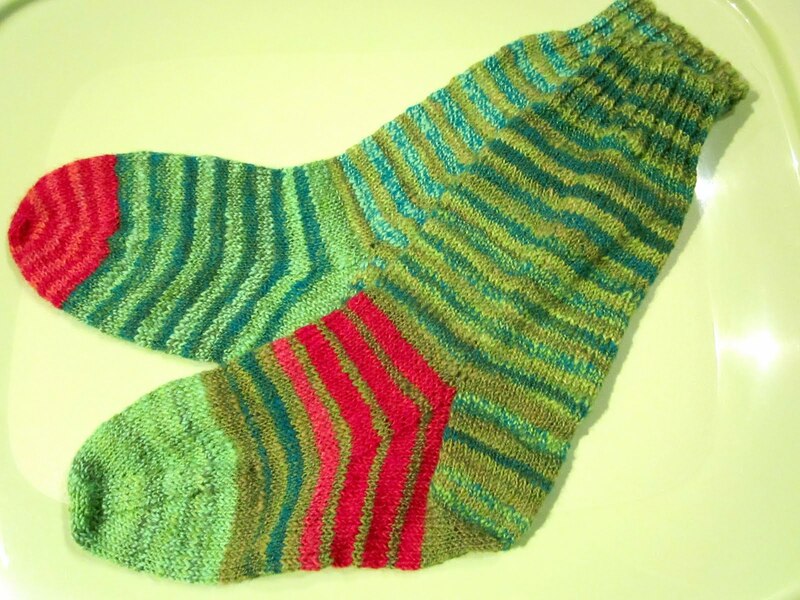 Next, another pair of socks for Tom dropped off my needles the other day - this time made from my own handspun. I may have gotten a little carried away with these! And finally, the mittens with squirrels on - tentatively titled "Brown-eyed Squirrel" - are finished. More info on these, soon! Love the squirrel mittens, so super cute! September 15, 2011 at 11:00 a.m.
Not tentatively, definitely Brown-Eyed Squirrel!!!! Love it! September 15, 2011 at 2:36 p.m.
Love the squirrel mittens and those stripey socks too. September 15, 2011 at 2:38 p.m.
September 15, 2011 at 7:26 p.m. Were the thombs eaten by the squirrels? ;-) Nice! September 15, 2011 at 9:01 p.m.
love the Squirrel Mitts Jane! Gorgeous! September 17, 2011 at 8:05 a.m. Your handspun is gorgeous, and so are the socks! September 18, 2011 at 9:34 a.m.
We have grey and black squirrels in our garden and sometimes they fight. Squirrel Fight! I'm thinking your mittens would be apposite. Congrats on the knitculture stuff! September 18, 2011 at 1:20 p.m.
Adorable! I have a q for you. I want to make my sister a pair of your mittens for her birthday in Nov. but she is allergic to wool. I think alpaca is ok, but I don't want to push it. What would you recommend in place of wool? Also, will these squirrelly mitts be available before November??? September 19, 2011 at 2:31 p.m.